The world has changed a lot for artists. Gone are the days when you relied on brushes and paper to showcase your talent. As the world is progressing to digital platforms, artists are too. 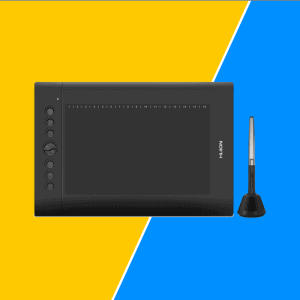 Creating digital art requires the right tool, and this is where a drawing tablet comes in. Graphic designers and artists are faced with a new challenge: how to find the best drawing table that will allow them to unleash their talent? After all, the quality of the drawing tablet governs how easy it is for you to navigate the various graphical applications. Whether you are a pro or a beginner, you need to equip yourself with the best editing tablets. Once you have the right tools, you can then work on your skill. 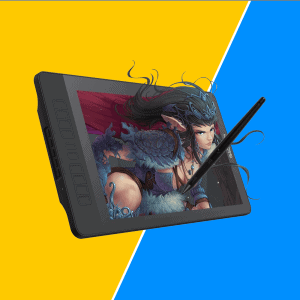 While only you can work on polishing your talent, we are here to help you choose the best art tablet. This tablet replaces the previous Wacom Bamboo Fun Pen and Touch Tablet and surely is an improved version of it. 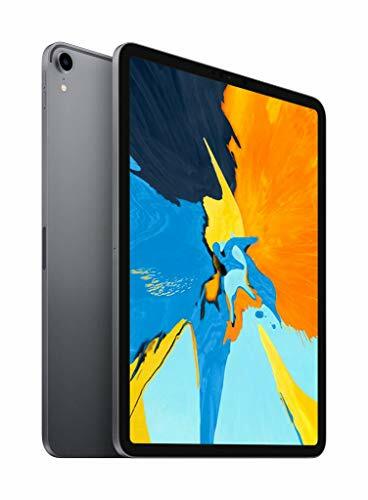 While it retains some of its ancestor’s best features, it also has various other design and functional additions that make it one of the best touch tablets out there. The tablet comes with various free creative software. This includes Corel Painter Essentials, Nik Color Filters and Café Press on top of the staple of every graphic designer, i.e., Photoshop. All you need to do is use the included CD to register the tablet and get your free downloadable software. The manufacturers have taken steps to make this tablet easier to carry. This has been ensured by the thin design of the product. Compared to its previous version and some of the other similar products on the market, this tablet is lightweight. 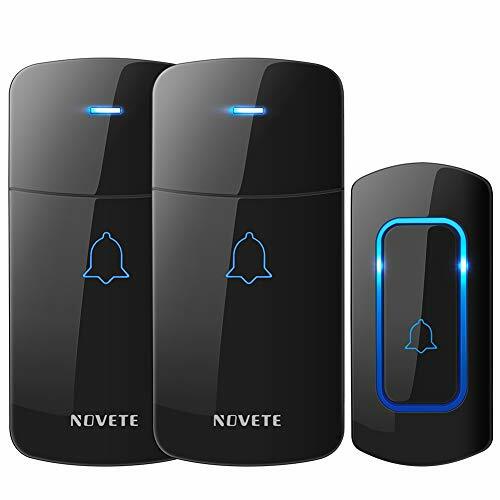 Another value-added feature included in this product is Multi-Touch which is seldom delivered by other products in this price range. The Multi-Touch feature of this tablet allows for easy navigation via touch as well as a pen. The four ExpressKeys can also be customized as per your liking. This allows users to alter the shortcuts, further ensuring ease of use. For those of you who prefer a minimalistic yet highly functional tablet, the Huion H420 is bound to satisfy you. 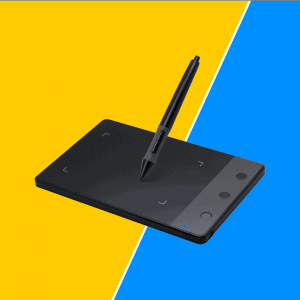 The basic thing you need in a drawing tablet is enhanced compatibility. This tablet succeeds in delivering this. It is compatible with an array of graphics application. The vast portfolio includes staples like Adobe Photoshop, Corel Painter, Adobe Fireworks, and Comic Studio. The pen included with the drawing tablet performs various functions as well. One of the important functions is its ability to be used as a cursor. Thus, if you don’t like navigating the product with your hand, you can use the pen to act as a cursor. Similarly, the pen can be used to scroll through documents and pages. This feature is achieved by adding a button to the digital pen. When you press this button over the working area, you can easily scroll documents. The pen itself is compatible with various operating systems ranging from Windows XP to Mac OS. Additionally, the design of the product is excellent. For instance, it features a USB interface and does not require the installation of an external driver. This makes using the tablet quite convenient. Are you looking for a tablet that can effectively replace your laptop? 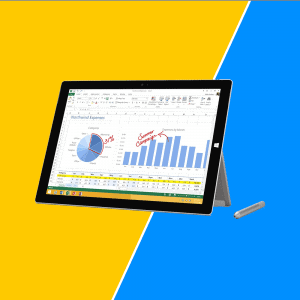 If so, you will find the Microsoft Surface Pro 3 to be an excellent choice. Microsoft is known to deliver quality products and this tablet is proof of it. The performance of this tablet is good enough to replace a laptop. Since it comes with Intel 4th Generation processor, the power of the tablet also mimics that of a laptop. It also allows the tablet to be used for software like Adobe Photoshop which makes it ideal for graphic designers. Its ability to be used as a tool for creating digital art is further ensured by the addition of a high-quality pen. When you use the pen on the tablet, it feels as if you are drawing on an actual piece of paper with the help of an actual pen. Such a natural experience is rarely delivered by tablets. Furthermore, the design of the tablet is a plus. It only weighs around 1.76 lbs. The design itself is sleek with a thickness of 9.1 mm. This guarantees that the tablet does not feel bulky when held. Add this to the 9-hour battery life, and you can rest assured that you will be able to get done with your art project without any breaks. The 1080p cameras included also make it perfect for video conferencing. It is difficult for tablets to deliver portability and enhanced functionality. However, the Huion H610PRO manages to offer these benefits. The best thing about this product is the large drawing area. The drawing area has dimensions of 10 by 6.25 inches. This makes sure that you don’t have to keep on adjusting the screen in order to finish your art. When you are creating an artwork, you are required to shift to different types of lines. This transition is not smooth in most cases, but with this tablet, we found that the line transition is easy and controllable. This is ensured by the inclusion of 2048 levels of pressure sensitivity. Yet another excellent feature of this tablet is the number of express keys. While other tablets deliver up to five express keys, this product takes it up a notch and offers 8 keys, all of which are customizable. Moreover, you are given 16 hotkeys. Combine this with other shortcuts provided, and you will realize just how much autonomy you are given. 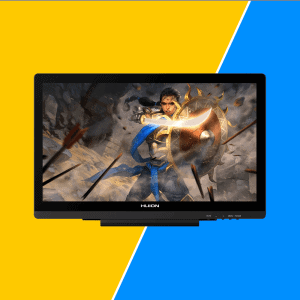 To make sure that artists can reap the most benefit from the tablet, the tablet is made to be compatible with an array of operating systems including Windows 7, 8, and 10 and Mac OS. All graphics applications work well on the tablet. Yet another Wacom tablet makes it to the list because of its value-added features and excellent quality. Whether it be the size or ease of use, this tablet ticks all the right boxes. It comes with a pen that has managed to be one of the best pens we have reviewed. The fact that it is battery-free is very convenient since it means there is one less thing for you to worry about charging. The pen itself is very sensitive and is equipped with a digital eraser which gives it a natural pen vibe. Moreover, depending on how you push the pen, you can draw both thin and thick lines, allowing you to draw with perfection. Just like other Wacom tablets, this product is equipped with multi-touch gestures. You can work on your art at the same time as you zoom or scroll. The responsiveness of the touch feature to both the pen and finger is excellent as well. The size of this wacom drawing tablet is 10.75 by 8.75 inches. This is neither too big nor too small. Hence, it is ideal for convenient carrying and easy drawing. You will have enough space to move your arm to achieve difficult strokes. It can connect to both a PC and a Mac. When you do so, you can then use it with all types of graphics applications and software. This makes it extremely useful for artists. Resolution matters in a drawing tablet as well. 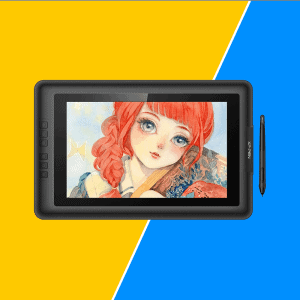 If you are looking for a drawing monitor that offers this feature, you will be satisfied with Gaomon. We found the resolution of this drawing monitor to be one of the best out there. 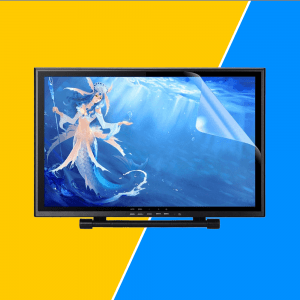 With a 5080 LPI and 1920 by 1080 resolution, you are bound to love the quality of the graphics displayed on the product. The display area is very large as well and has dimensions of 13.5 by 7.6 inches. This enhanced creative space is enough to satisfy professional graphic artists. Each person has their own creative habits and go-to functions. The fact that you can customize the 10 shortcut keys and the five menu keys allows this product to be transformed into your personal tool. You will find that you won’t have to waste time when using this product. The pen included is rechargeable in nature. This recharging function may not fare well with those who are tired of having to take breaks between their creative endeavors to power up their tool. However, the pen itself makes up for it. It is very responsive and accurate. This quality is guaranteed by the 8192 pressure levels included. The design of the product is both aesthetically pleasing and ergonomic. It comes with an adjustable stand that allows you to set the tablet as per your liking. Since it has an embedded signal interface, you don’t need to worry about dropping the cable when using the tablet. For those of you who value ease of use and convenience above all, Star05 will be the best option for you. 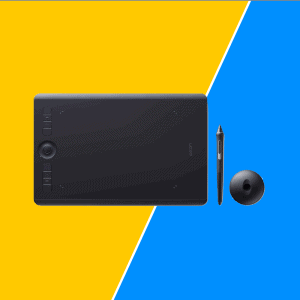 You can either choose to use the drawing tablet to draw wirelessly or connect it to your computer to use it with a wire. To realize the former function, all you need to do is plug the USB receiver into the computer. The wireless USB can then be used to connect the computer to the drawing tablet wirelessly. During wired use, the drawing tablet automatically charges itself. The tablet comes with a built-in battery made out of lithium. The charging process itself is quite fast. In a mere 2.5 hours, the tablet is ready to be used wirelessly for over 14 hours. This is a source of convenience for the masses. Another feature which is appreciated is the battery-free pen included with the drawing tablet. Since it doesn’t require charging, your use of the drawing tablet is not limited due to anything. Also, it has 2048 pressure levels that allow you to draw with precision and accuracy. The working area is quite large as well. With an 8×5-inch working space, you are provided with enough space to allow for extravagant brush strokes and arm movements. Lightweight, responsive, comfortable to use – this tablet manages to tick all the right boxes. The feature we liked the most about this tablet is its wide viewing angle on top of its high resolution. 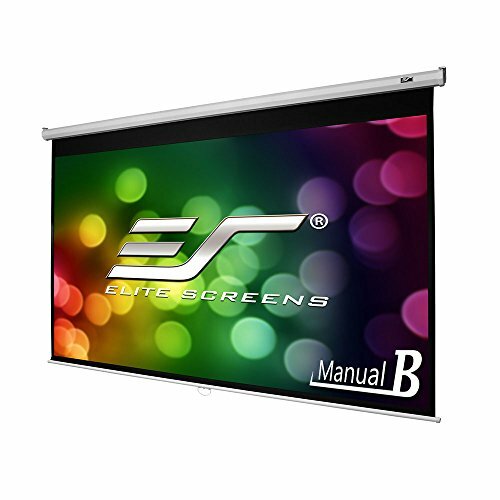 The display has a resolution of 1920 by 1080 pixels, and the size of the screen is 13.3 inches. This size is perfect for carrying the tablet in a bag yet big enough for a spacious drawing area. It comes with a multi-touch function that is applicable to software like Illustrator, Coral Painter, and Adobe Photoshop. Therefore, you can easily navigate your work as you simultaneously draw using the tablet. The pen included in the package comes with 2048 pressure levels as well as tilt sensitivity. This allows the digital pen to be used like a pencil or brush. The quality of the pen was tested and found to be responsive and accurate. However, you have to connect the tablet to a computer for it to work. It does not have wireless functionality, but the 3-in-1 cable included makes this flaw bearable since it allows for easy setup of the tablet with all types of operating systems. XP-Pen Artist has been lauded by users for its design and functionality. When we tested this product, it was not hard to understand why this was so. The unique thing about this tablet has to be its glass design. Not only does it look great in terms of aesthetics, but the glass design also has functional benefit. It helps the tablet deliver increased precision. Moreover, dust does not build upon it, rendering the need for daily cleaning unnecessary. The Passive Pen included features 8192 pressure levels. This helps the pen have great sensitivity to subtle changes in pressure. As a result, the control and fluidity of the pen are beyond comparison with other stylus pens. The level of control this pen provides is unparalleled. The visual angle of the display is 178 degrees. The resolution of the display is 1920 by 1080 pixels. Together, these elements along with the 16:9 display offer a sharp and detailed contrast. The size of the display is 15.6 inches, which is on the larger side of the spectrum. Yet, its 11 mm thin structure makes it portable. The tablet can work with both Windows and Mac OS (either the 10.8 version or those that precede it). 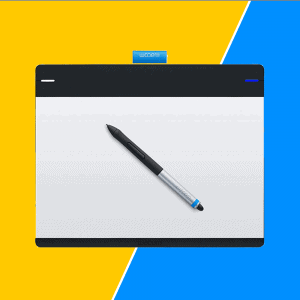 All major applications are compatible with the drawing monitor, making it a handy tool for graphic designers. 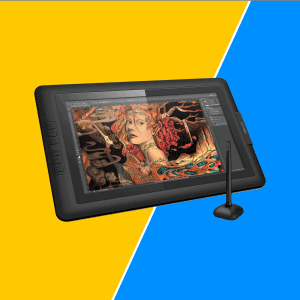 The Wacom Intuos Pro is available in 3 variants Small / Medium / Large. With a large drawing area yet a compact overall design, this Wacom Pro Drawing Tablet delivers the combination that everyone desires. The design of the tablet is marked by sleekness. The thin design allows for easy grip of the tablet along with convenient portability. The latter benefit is also ensured by the overall compact size of the tablet. It has dimensions of 13.2 by 8.5 inches. We thought this might affect the drawing area adversely, but the drawing area measures 8.7 by 5.8 inches, which is large enough for effective use. The included pen is also up to par. It has 8192 pressure levels that help the stylus deliver enhanced sensitivity. It can respond to a tilted screen, and the output is depicted on the screen without any lags. 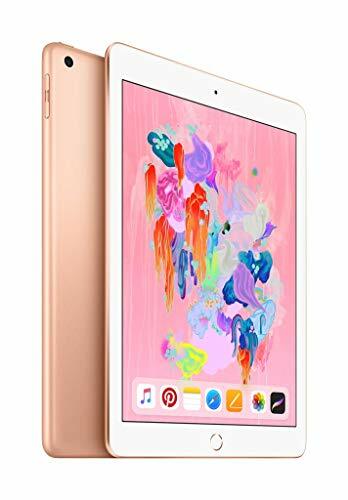 Just like other quality products on the list, this tablet is equipped with customizable keys and multi-touch functionality. The speed of the tablet is excellent, making sure that there are no lags faced by the user. The product can be connected to computers with an operating system of Windows 7 (or those that succeed it) and Mac OS. This connection can be both wired and wireless. The latter is delivered by the use of USB ports. 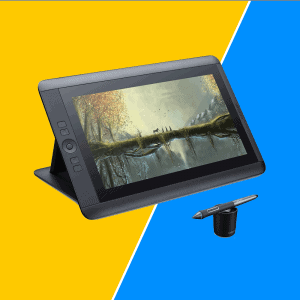 Huion is known to deliver great drawing tablets, and this one is no different. It is equipped with everything a graphic designer could want in a drawing tool. The first thing you will notice when you switch the drawing tablet on is its high-quality IPS screen. The screen, which measures 19.5 inches, has a 16:9 ratio as well as a high resolution of 1920 by 1080 pixels. The high resolution allows for crisp and sharp images that allow you to perfect your artwork to the tee. We were a big fan of the contrast ratio of the product. The ratio is 3000:1, so each color is depicted beautifully. Actually, you can use the tablet to showcase over 16.7 million shades of color. You can imagine the type of artwork you can create with its help. The product also allows for an easy drawing experience. This is ensured by the different viewing angles you can set the tablet at. The included pen further enhances the experience by delivering 8192 pressure levels as well as a design that is easy to hold on to. It also comes with a pen stand and eight spare nibs. Thus, even if the nib of your stylus stops working, you can use the nib extractor to change the nib. This additional feature reduces the hassle of getting a new pen. This drawing monitor has been successful in being appreciated by the masses just like other XP-Pen tablets. 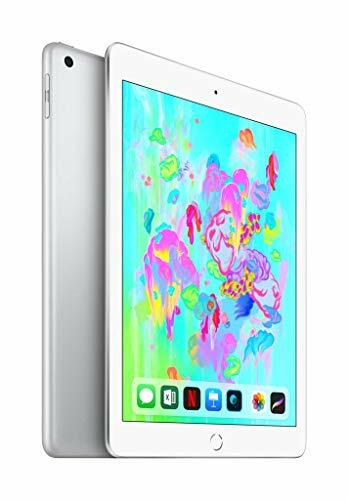 It retains the good aspects of the original tablet and adds other value-added features. The 10.1-inch design has a resolution of 1280 by 800 pixels. While this is less than the resolution offered by some of the other products, it does manage to get the job done. It is good enough for each color to be depicted in a lifelike manner. The contrast offered is also satisfactory. Generally, the glare of the light makes working on a tablet hard at some angles. We liked that this tablet was able to avoid this issue. It comes with an anti-reflective coating that reduces this glare by 56%. Therefore, the drawing experience is greatly enhanced. The included pen has 2048 pressure levels. It is designed in a way that makes it comfortable to use, whether you are left- or right-handed. You can easily draw and erase with the help of the one-click toggle function of the tablet. The express keys included are customizable, while the tablet itself has a thickness of 6 mm. Thus, you can hold it without feeling fatigue and customize it to include your go-to shortcuts. When you think of an iPad, you automatically assume the tablet to be out of the world. That is just the expectation people have for Apple products. Well, this tablet doesn’t disappoint and lives up to the legacy. 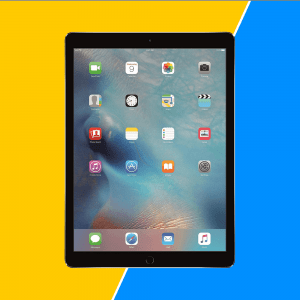 This 12.9-inch iPad Pro is the perfect tablet for all types of uses, including drawing. Regardless of how complex your hand gestures are, the iPad Pro will be able to understand and deliver just the right strokes. This versatility made this tablet one of the best ones we have reviewed. When it comes to delivering resolution and an excellent display, this tablet knows no bounds. The tablet delivers the highest resolution of all with 2732 by 2048 pixels. Such a high resolution paves way for a sharp and detailed output. The security delivered by the tablet is also exemplary. Rather than having pin codes that you might forget, this tablet uses Touch ID. Thus, all you need to do is use your fingerprint to unlock the tablet. This allows for convenient and enhanced security. The quality of the display along with how sensitive its touch is makes it ideal for artwork as well. However, a stylus needs to be bought separately. Along with a warranty, huge drawing space and large viewing angle, this tablet offers an array of needed features. The size of the tablet is both a blessing and a curse. The 21.5-inch product allows for a spacious drawing space, but it is a tad too big to carry in a bag. This might not fare well with those of you who wish for portability. 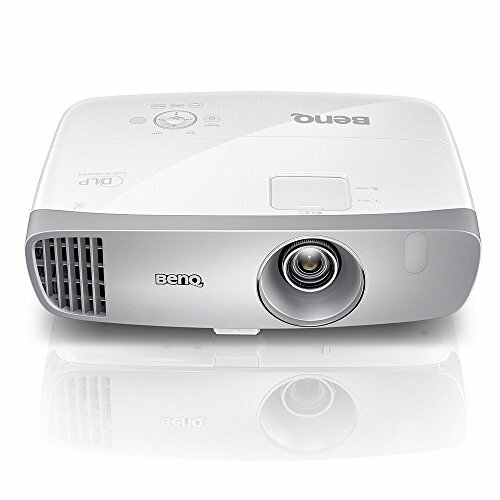 The LED comes with HD resolution that depicts sharp and accurate images, which are required for detailed artwork. The pen included also provides 2048 pressure levels that help it be sensitive to all sorts of pressure. Moreover, it comes with a large viewing angle, as stated before, that allows for a comfortable drawing experience. The pen has a much-needed eraser function as well. To switch to it, all you need to do is click on the included button. The fact that the process is not too much of a hassle means you can focus on your art at all times. A 12-month warranty is included with the tablet. This speaks wonders about the durability of the product and also makes it a bit cost-effective. The tablet can be used with both Windows and Mac OS. 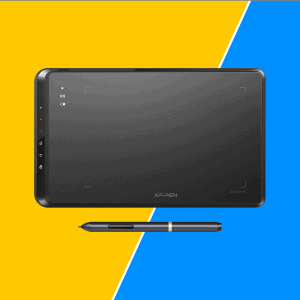 Here are some of the factors you need to consider before you buy a graphics tablet. Different tablets will have different sizes and weights. The perfect size and weight for you depend on how mobile you want the tablet to be. If you merely plan on using it in a given space, you can opt for large, bulky tablets. However, if you want portability, the lighter and compact ones should be chosen. Also, make sure the drawing space size of the tablet is large enough for easy use if you are getting a drawing tablet specifically. The screen size, resolution and contrast ratio should be gauged. Naturally, the higher the resolution, the sharper the images depicted on the product. We all want that, but not all of us can afford high-resolution products. Decide how important resolution is to you and pick accordingly. You would want to connect the tablet to your PC. However, if it is not compatible with the operating system of your PC, it won’t connect with it. To ensure this doesn’t happen, pick tablets that feature extensive compatibility. A graphics tablet is almost always accompanied by a pen. If it is not, that is a big no-no unless you don’t mind buying the pen separately. When it comes to drawing using a drawing tablet, the quality of the pen is very important. Make sure the pressure sensitivity of the pen is up to par. The more sensitive it is, the better. This is assessed by the pressure level of the pen. Getting the perfect tablet might not be easy, but if you are wise about it, you can make a decision that you are happy with. You just have to give it some thought. Among the products discussed, we personally loved Microsoft Surface Pro 3 PS2-00001 Tablet. This is because it has all the features required in a tablet. The price of the product is also reasonable, and the low storage flaw is avoidable with the help of an SD card. You are free to make the decision for yourself. It is okay if your preferred tablet is different from ours. At the end of the day, you are the one who has to use it to showcase your artistic skills. Choose whichever one you think will help you the best.